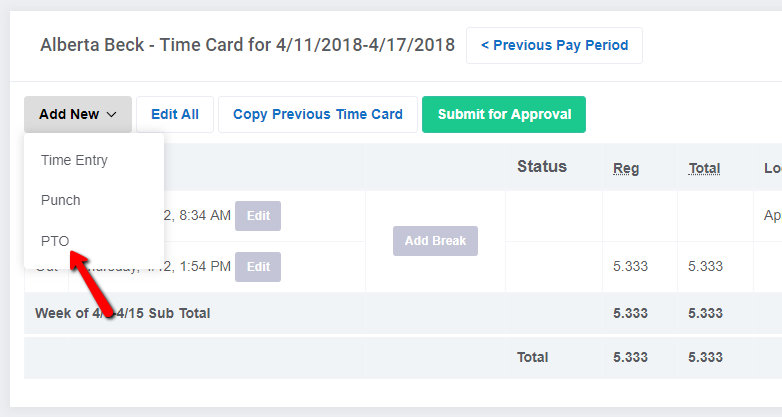 How do I add PTO to a time card? Once enabled employees can add PTO to their own time cards or administrators/managers can do it for them. There are 2 ways to add or request PTO. First be sure you have PTO enabled. As an admnistrator, go to Settings, then PTO to enable it. The first way is to add PTO directly from a time card. You will see an "Add New" button on a time card, that will allow you to select PTO as one of the options. Once you click the button you'll be brought to a screen to enter the type, hours, and notes for PTO. The second way is to use the PTO Calendar. As an employee click on the "View PTO Summary" button. 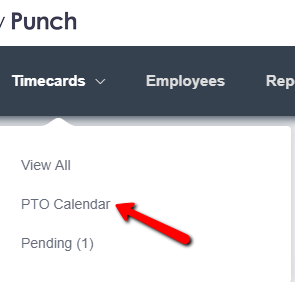 As an administrator go to "Timecards" in the top navigation, and then select "PTO Calendar." From here you'll see a "+PTO" button that will allow you to select a one or many employees to add PTO to.